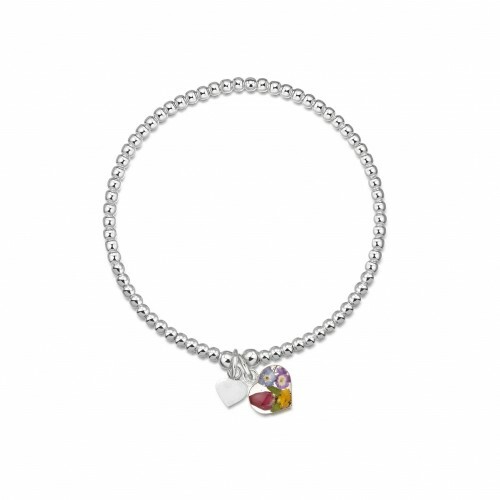 Ladies sterling silver bracelet from Shrieking Violet. 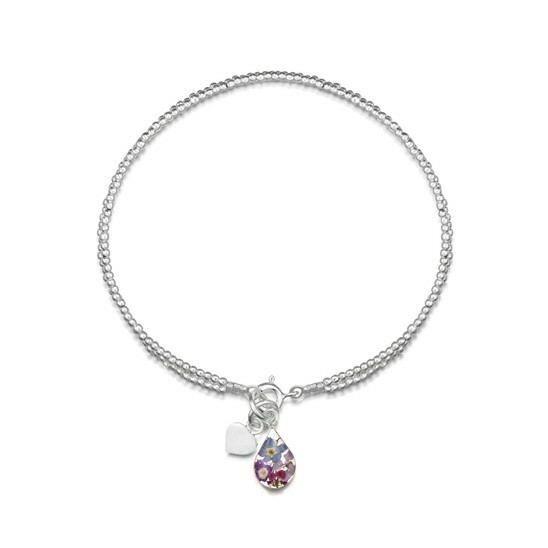 This adorable bracelet comprises of a single strand of sterling silver beads & a heart shaped charm with tiny flowers including a forget-me-not, miniature rose bud & tiny purple verbena. The expanding bracelet slips over your hand & can be taken on & off easily. Stylish yet understated, you will be the envy of your friends. Presented in a stylish gift box making the perfect gift for all ages and for any occasion.